Umpherston sinkhole in Mount Gambier is a beautiful tourist spot situated on the main road (Highway 1 that runs around the whole of Australia and joins the mainland state capitals) as you enter into Mount Gambier. You can't miss it, have a look at this town map for directions or check the adress below. It's only about 5 minutes drive from the town center In fact, the great thing about this town is that nearly everything is only about 5 minutes drive from the town center. 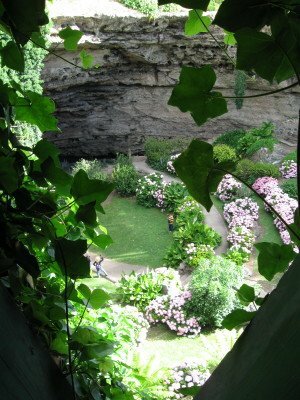 Umpherston sinkhole is one of many great Mount Gambier tourist attractions. 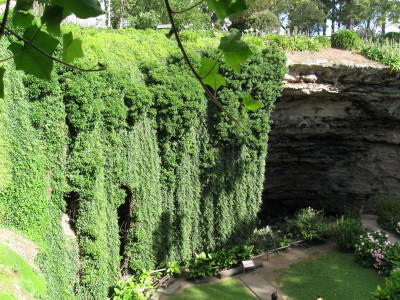 It's also known as The Sunken Garden, and as you will see from the sign, Umpherston Cave, although this now reads the more correct title of Umpherston Sinkhole. Jubilee Highway East, Mt Gambier South Australia. Directions and location - Before you enter the town from the South, you start to go down a large hill. On the left you will see forestry buildings and stacks of wood. By this point you will see the sign to the Umpherston Sinkhole gardens. You won't miss it, it's easy to see, the car park is just off the main road and the sinkhole gardens are only a 1-2 minute walk. There is no charge for admission. Umpherston cave is more correctly called a sinkhole. A sinkhole is formed as water seeps into the underground limestone and gradually erodes softer limestone to form a cave. As the cave develops the top collapses to form a sinkhole. 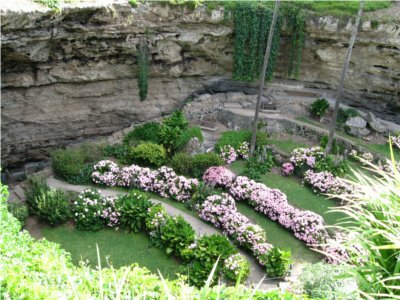 James Umpherston purchased the property which included the sinkhole in 1868, improvements were made to the property which included a Victorian residence and gardens, and was named 'the Caves' . 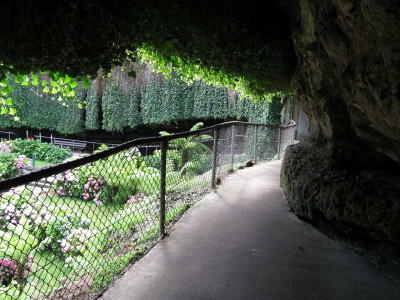 In 1884 Umpherston began to develop the sinkhole as a 'pleasant resort in the heat of summer'. At this time a third of the floor of the sinkhole was covered with water. 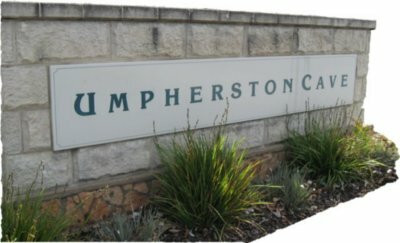 Umpherston died in 1900 at the age of 87, leaving a wife but no children. The city of Mount Gambier obtained the site in 1994. 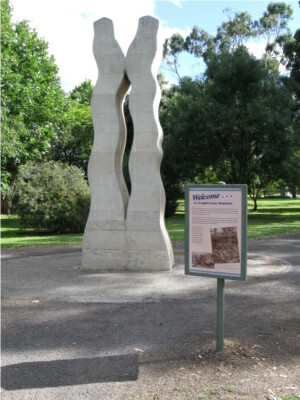 The site was identified as an important heritage feature and listed on the Register of State Heritage Places in October 1995. Come and visit the current residents, friendly possums. They love to come out at night seeking food bits provided by visitors. Exercise proper care though and follow the signs and directions regarding these inhabitants!